In Newcastle District Cricket only three matches made a start today following overnight rain, with Wests in some trouble against Waratah-Mayfield, while City is 8 for 154 against Cardiff-Boolaroo. 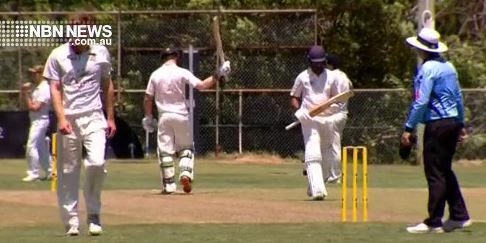 At Kahibah Oval, opener Daniel Arms got Charlestown off to a flying start against Wallsend. In one Nathan Price over, Arms smashed three sixes in a row, his second helped him pass 50. He survived an appeal at the other end from the next over, but was eventually run out for 65.